We strive – really, really hard – to create the right conditions for things to happen, whether they’re for our organizations, or for us personally. I see people being very, very patient – planning it all out, putting things into place, fine-tuning the machinery once it’s working, hovering over it to see if it will yield the finished product they’d hoped for… We make org charts and then hope to put people into those roles. We make Gantt charts to show how the project is going to proceed, all colour-coded. We make projections that stretch far off in time. But the working world is far more organic than these machine-based metaphors would suggest. (I’ve had people who work with machines all day tell me they’re even more organic than this would suggest). The factors that affect anyone’s work are more complex than we think, with more moving parts than we can imagine. Sometimes, things align unexpectedly. Things just happen. It’s like there’s an echo that comes down from the mountains: it’s time. For something large or small, doesn’t matter. And when that happens, our past efforts just seem irrelevant to the situation. And then what do we do? Sometimes we have to abandon our previous approach (and all those sunk costs! All those careful plans!) and go with the new. Sometimes we have to move faster than we’d expected, or at least faster on certain projects. But sometimes we stick with what we’ve been doing. We think we can make good things happen ourselves, and we don’t need serendipity. Not every fallen fruit needs to be harvested. Some of them can turn into fertilizer. Which brings me back to nectarines. I don’t think I’d had one for years. I would buy them, they’d have the texture of rain-soaked cardboard, and I’d swear off them. Until the next time. 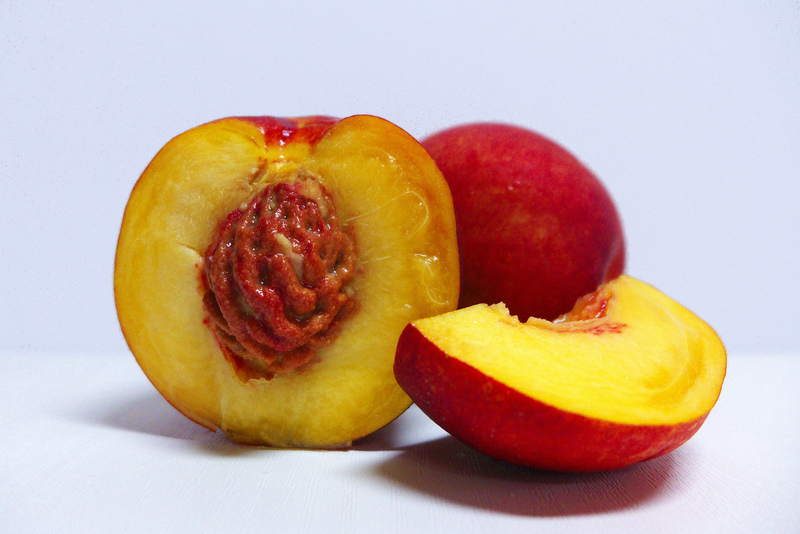 Eventually, I guess I stuck by my nectarine ban, and I really don’t remember tasting one for the longest time. And then this summer, by happenstance, I was staying somewhere, it was the easiest fruit to take with me as I headed out, and it was delectable. Tasted like summer. But, alas, all good things come to an end, and today the nectarines were blah. Almost – dare I say it – cardboard. I think it might be about done, the Summer of Nectarines. We tend to overestimate our own influence on how things turn out, when they go well. We tend to credit ourselves with good works when, really, it’s often being in the right place at the right time. When happenstance serves us well, we should remember that this might not be due to our own good works or good karma or good ideas. Maybe it’s just a temporary alignment of the stars that won’t last forever. Strike while the iron is hot, make hay while the sun shines, and all that. Maybe it’s just a small thing that helps us out a little bit. If there’s anything we can do to help you think about what to do about a windfall (or even something less positive), please get in touch. Photo by Flickr user Traveloriented.